Users can still access the forums, but don't expect any Microsoft employees to respond. 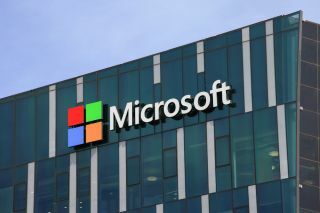 Windows 7, 8 and Windows 8.1 users will no longer be able to ask Microsoft staff for help on the official forums, the company announced in early June. Writing a short announcement on the company site, the Redmond giant says that starting next month, its employees will no longer provide technical support. “There will be no proactive reviews, monitoring, answering or answer marking of questions,” Michelle Mad wrote in the announcement. Users will still be able to access the forum and get advice from each other, but no Microsoft employees will be participating in the discussions. They will, however, stick around to moderate the forums, just to make sure it doesn’t turn into a new 4chan. “The forums will still be moderated by Microsoft agents to ensure participants can engage in a safe and positive environment,” the post reads. The support for a total of 13 products will be discontinued, including: Windows 7, 8.1, 8.1 RT, Microsoft Security Essentials, Internet Explorer 10, Office 2010, 2013, Surface Pro, Surface Pro 2, Surface RT, Surface 2, Microsoft Band – this topic will be locked. Users are invited to participate in Microsoft Band 2 topic, however. When it comes to mobile devices, Microsoft said it will continue supporting mobile in the "Other Windows mobile devices" topic. Zune – this topic will be locked, but will remain available for browsing. Don’t confuse the forums with mainstream support. Both products have been already removed, although the extended support goes on until 2020, and 2023, respectively.